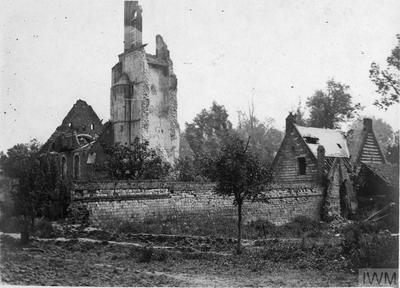 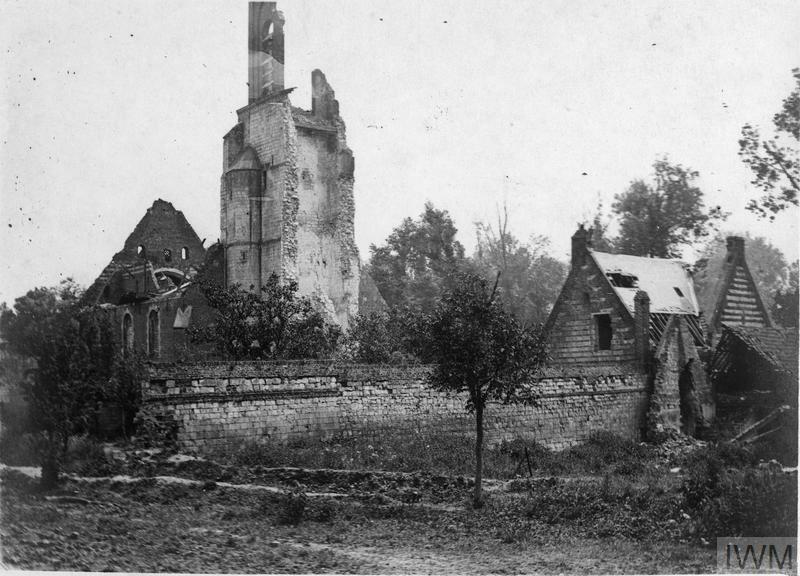 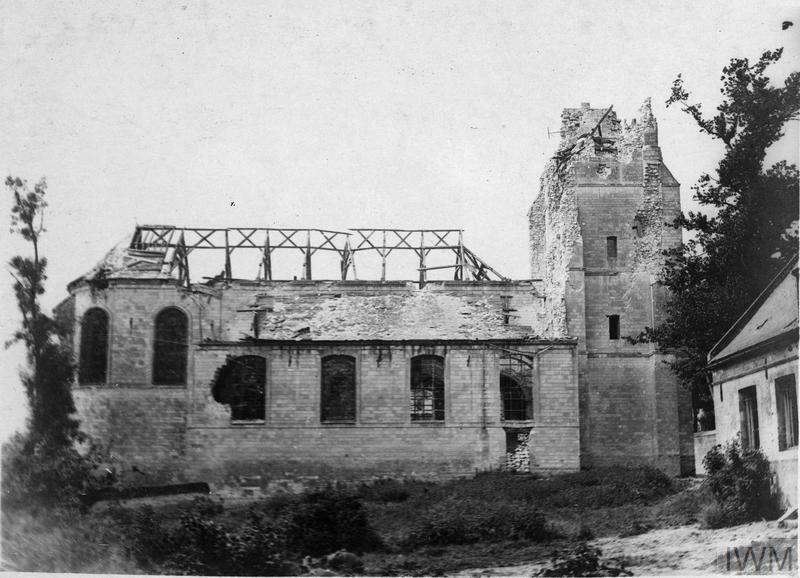 Riviere is a village in the Department of the Pas de Calais 10 kilometres south-west of Arras. 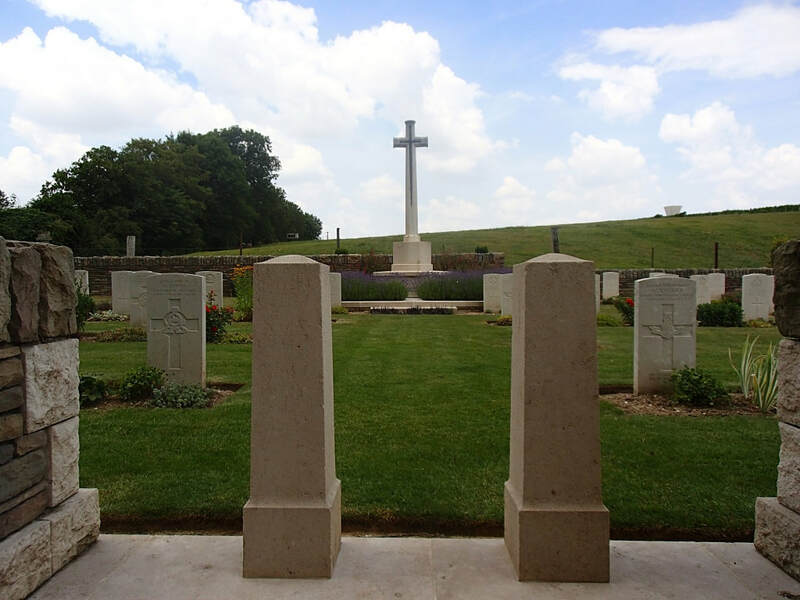 Visitors should take the D3 to Wailly from Arras, then follow the signs for Rivière. 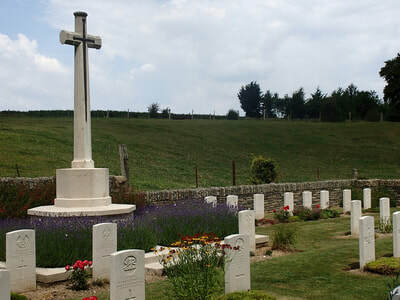 A CWGC sign indicates the minor road which leads to the cemetery. 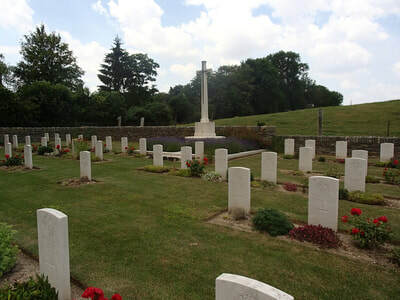 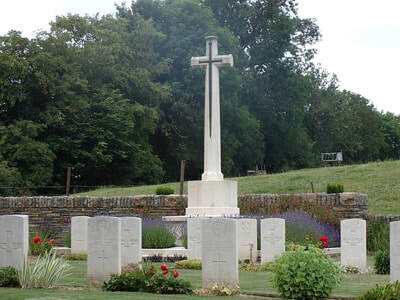 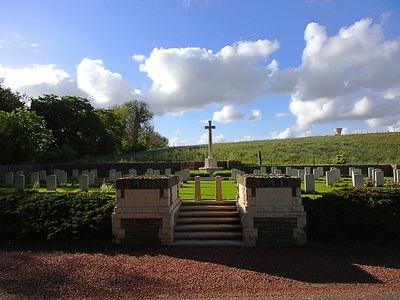 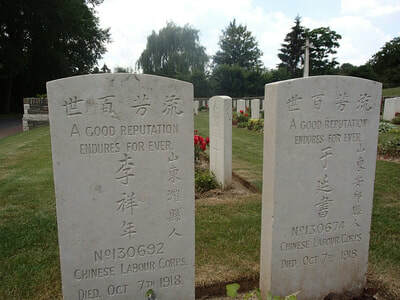 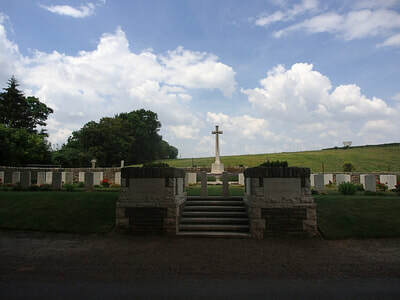 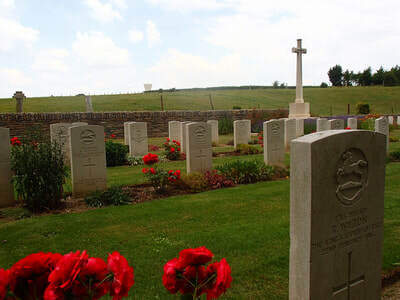 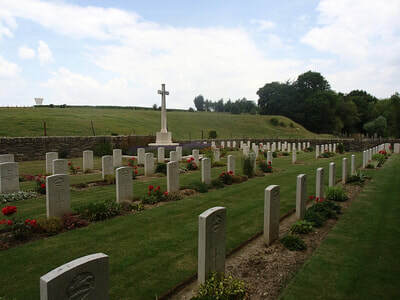 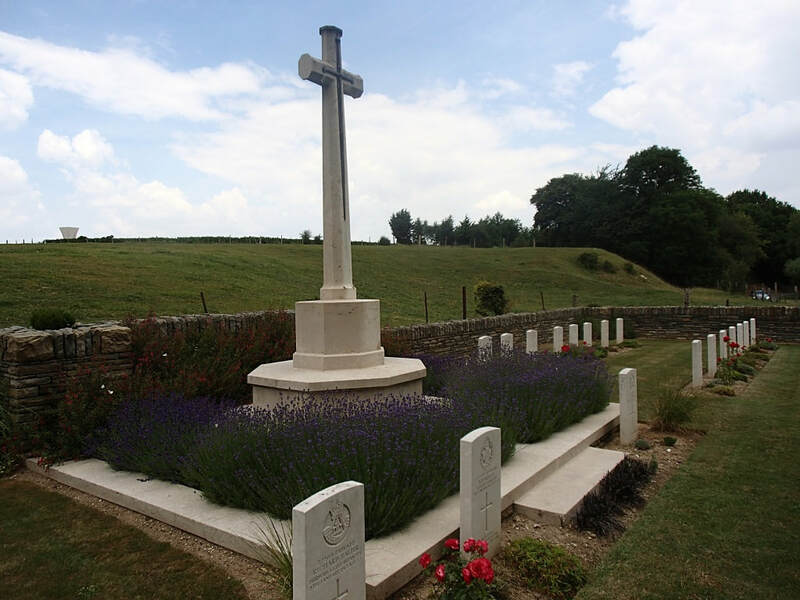 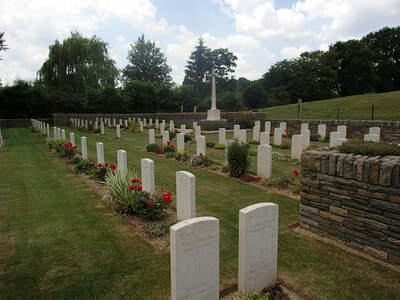 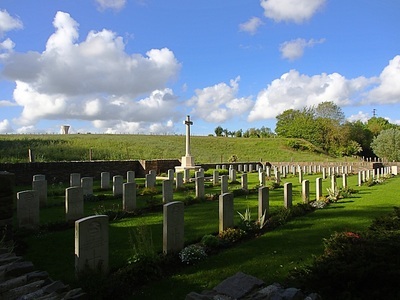 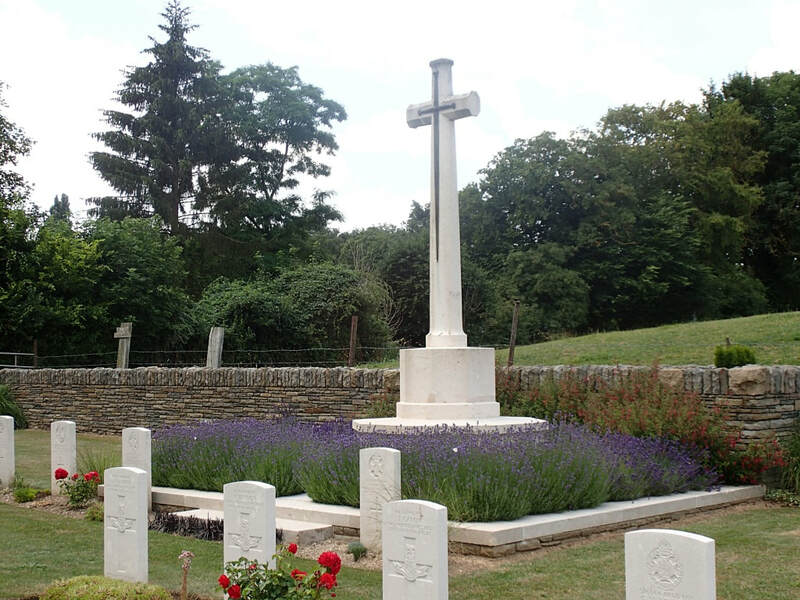 This front line cemetery was begun by the 55th (West Lancashire) Division in March 1916 and closed in March 1917, except for one burial in March 1918. 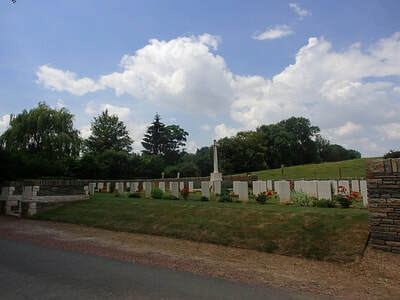 Le Fermont Military Cemetery contains 80 First World War burials. 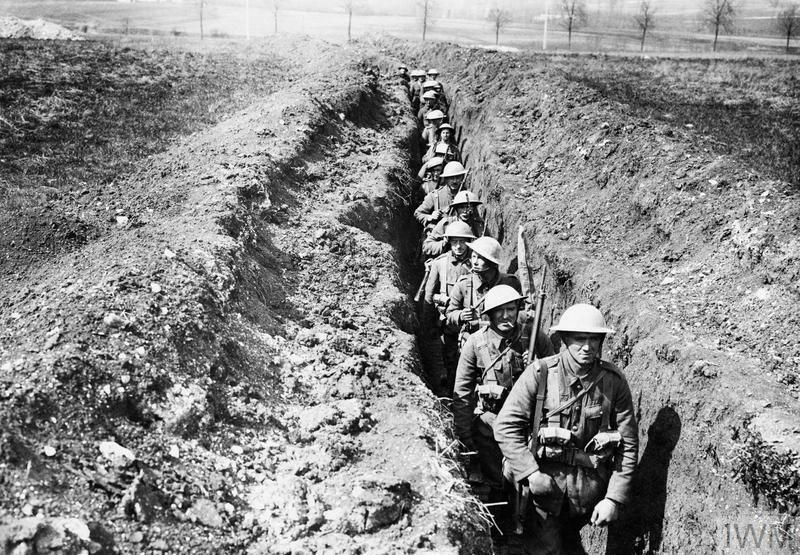 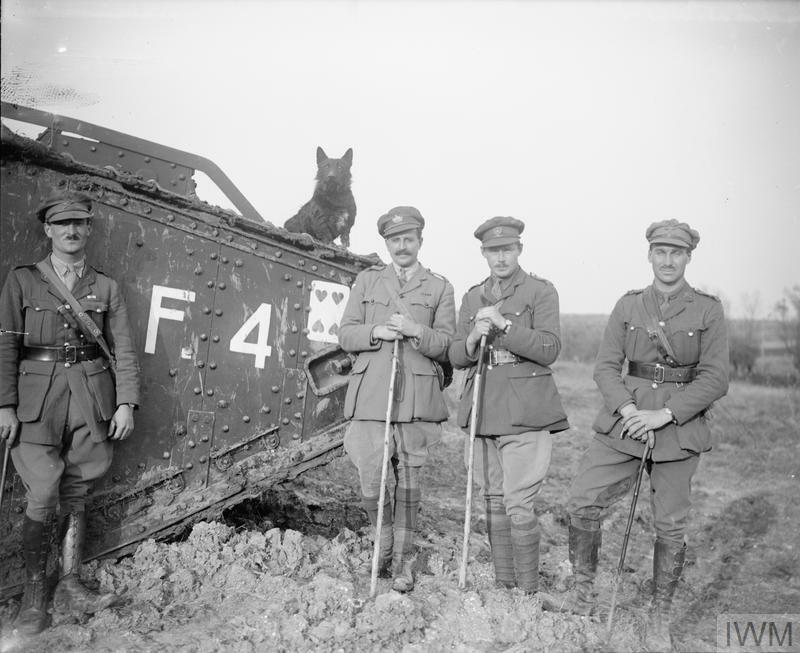 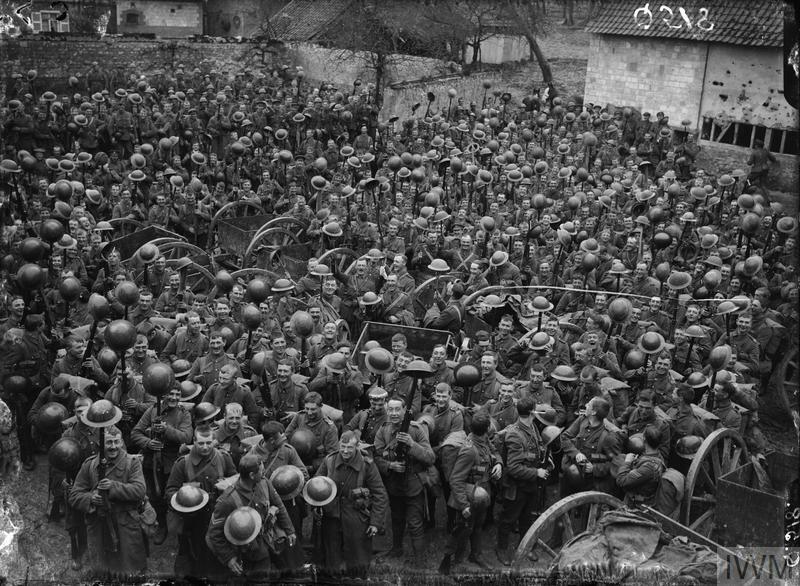 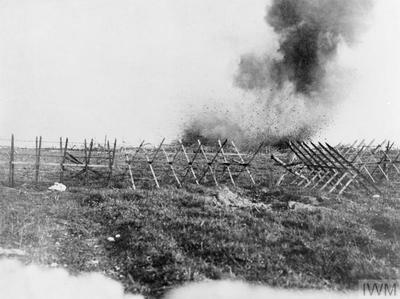 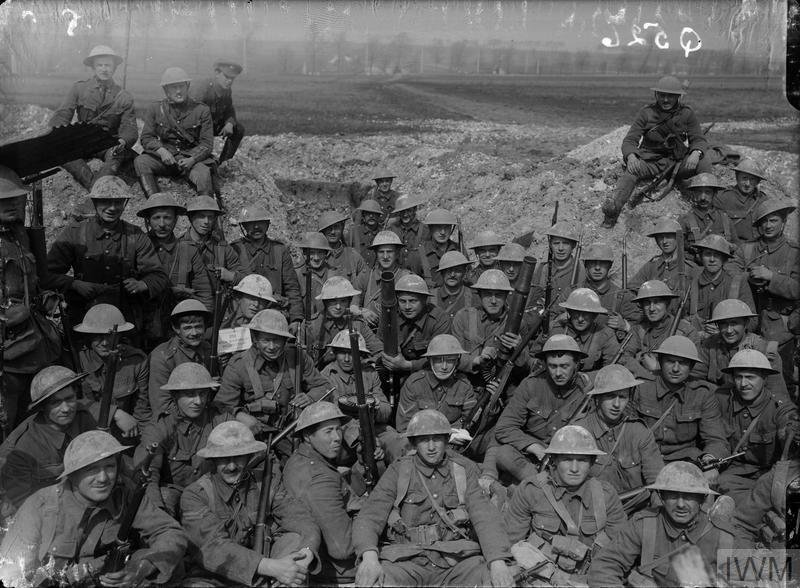 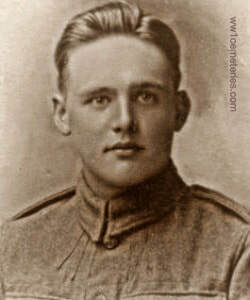 23rd April 1916, aged 20. 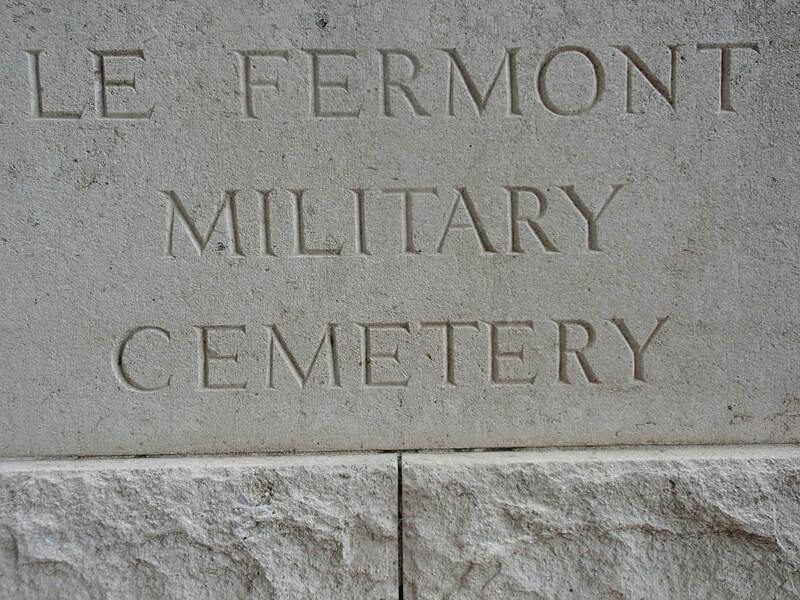 Son of William and Mary Ann Carter, of 5, Frank St., Preston. ​His headstone bears the inscription; "Greater Love Hath No Man Than This That A Man Lay Down His Life For His Friends." 28th June 1916, aged 28. 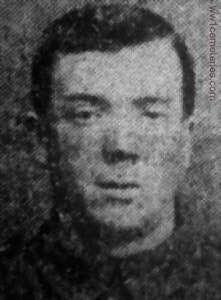 Son of William and Jane Caton, of 3, St. Mary's Rd., Bamber Bridge, Preston. ​His headstone bears the inscription; "For King, Country, Liberty And Truth He Sacrificed His Glorious Youth." 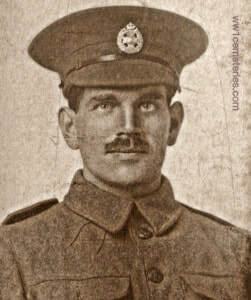 3rd October 1916, aged 28. 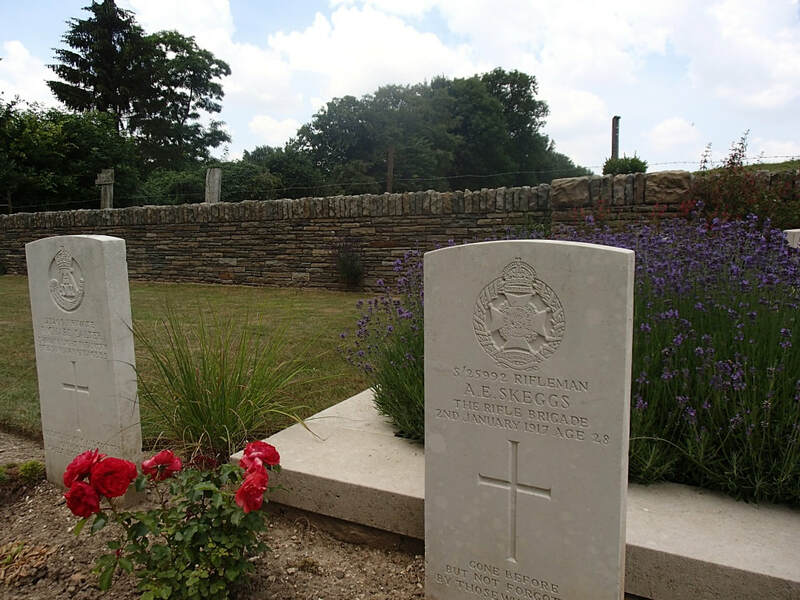 Son of Maurice and Anna Cobbold, of Woolpit, Suffolk. His headstone bears the inscription; "His Country Called, He Answered." 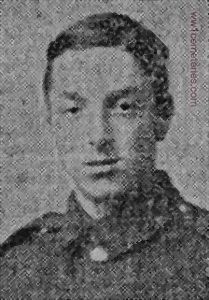 3rd October 1916, aged 23. 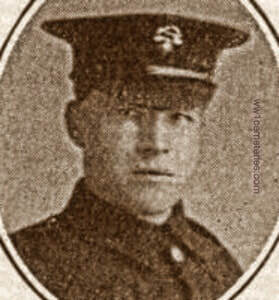 Son of W. E. Farr, of 97, Woodpecker Rd., New Cross, London. 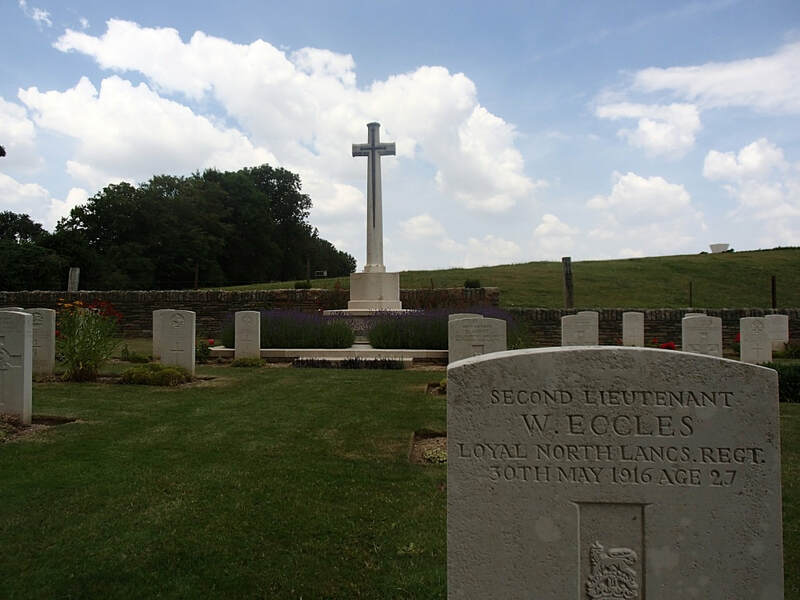 His headstone bears the inscription; "He Gave His Life For Peace, Freedom And Honour,"
28th June 1916, aged 24. 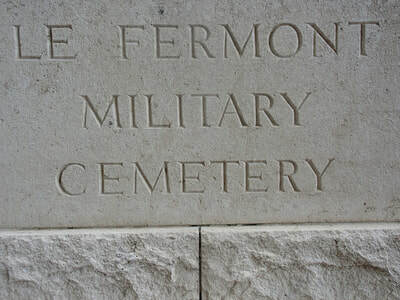 Son of F. W. Garwood, of 39, Churston Avenue, Upton Manor, London.